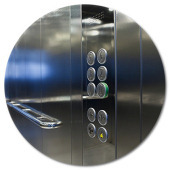 Oleva and Associates provide individually designed lift systems. We provide a high quality solution, efficiently and competitively. Combining the individual strengths of our associates allows each of us to deliver our core competence. It’s fairly simple; avoiding duplication of task and replication of function dramatically reduces overhead cost. Rather than design in cheaper hardware, we actually prefer to do the opposite! We operate in an efficient manner, clearly identifying and avoiding costs such as multiple mark-up, margins and unnecessary overheads allows us to retain high component quality and yet still achieve a price normally associated with lower budget equipment. After all, performance and longevity are important aspects of any lift system and such pre-requisites are unachievable if we simply compromise hardware. Within our product design and manufacturing facilities in Istanbul we have access to deep industry knowledge and experience, creating the ideal conditions for product development and manufacture. Our associates also provide market leading electrical and electronic platforms on which we base our designs. Our associates closely follow the latest norms and lead the market with continuous research and development strategies. The UK market has its own specific requirements and here we tailor designs in compliance with local requests, specifications, Norms and Directives. In essence, we design in the UK for the UK and manufacture in our facilities in Istanbul. All products are certified and supported locally by trained and fully qualified engineers. Our family, have been active in the Turkish lift industry for over 40 years. Today the family connection has brought about a professional working relationship between Oleva and Associates in Chester and Evatek Asansor in Istanbul. We offer an outstanding range of products combined with design consultancy and customer support to ensure that the high quality products and systems created in Turkey meet their full potential in the UK. The company philosophy has its roots in the lift modernization market of the 1980’s. At that time, the opportunity to refurbish lifts with a range of open market products such as motors, door systems, controllers and associated products allowed lift consultants and property owners the freedom of choice. Today’s trends are somewhat different with the emphasis clearly on complete lift systems as opposed to large-scale modernization. OLEVA combine flexibility and choice, addressing specific market requirements with close attention to complete or partial lift systems, electrical packages and bespoke modernization solutions. We are aware that clients may have their own opinion. They may have a preference for a certain door system. If this is the case, we will include this product into our design. This also applies to gearless machines, cabins, position indicators, push stations and fixtures. 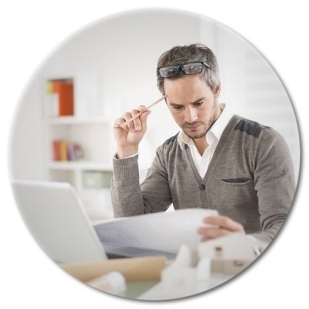 With this approach, we are able to achieve compliance with specifications. Such choices can be provided directly from our factory or in cases where customers have their own relationship with component suppliers we provide a design to suit. The number of installed new lift packages during the last 20 years has also created a wave of modernization opportunities. During the construction phase, it was relatively straightforward to install a complete lift into a new building, but an occupied property does not easily lend itself to such disruption and here we are able to supply an electrical solution complete with wiring and retain the original mechanical hardware where possible or alternatively replacing where necessary. We have unique solutions to provide a complete new lift or facilitate an upgrade to virtually any lift. We design electrical systems for new or refurbishment lift projects, typically providing the landing fixtures and Car Operating panel pre-wired for connection to CAN Bus. The complete ‘plug and play’ wiring is designed to suit the shaft dimensions, which also includes the motor cables. Our design is based on the ‘groundbreaking’ ARCODE integrated lift control unit. This advanced product innovatively combines the inverter, controller and automatic evacuation system in one single unit! The performance is outstanding, with ‘direct to floor approach’ and contract speeds of up to 4.0 m/s. 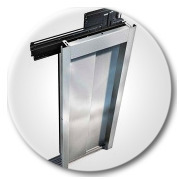 Our complete lift systems provide greater flexibility and component choice. The ELEVA ® lift system utilizes specific modular designs resulting in short lead-times for design and production but still allowing the selection of components and products from multiple sources. 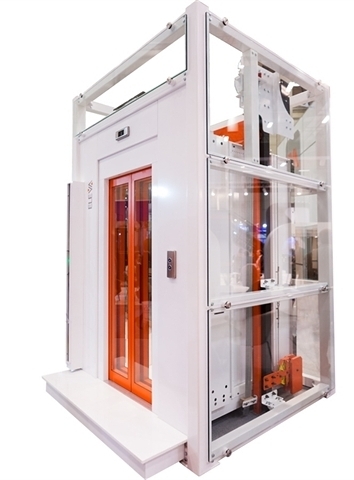 In addition to the wide range of dimensional variants, we offer the potential for clients and consultants to create a more ‘bespoke’ system in line with their particular preference or specification; a characteristic normally associated with lift modernization. 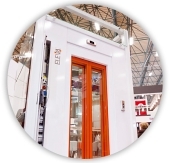 A range of cabins, doors, fixtures and motors make the ELEVA® lifts system one of the most flexible products available. Our experience with complete lift systems enables us to design and supply ‘part packages’ as a cost effective alternative to conventional modernization projects. The ELEVA® MMR range provides the convenience of a complete system, but delivers the ability to retain certain components such as guiderails, counterweights and car frames. The traditional motor-room can be incorporated and new traction machines, bedframes, diverter pulleys and electrical systems can be provided. Another distinct advantage of this approach is the ‘plug and play’ wiring techniques. Our latest product is a DDA Overlay. We can upgrade existing lifts with new landing pushes, position indicators and car operating panels to meet the requirements of En81-70. A complete wiring network and interface creates a CAN-bus network. Today we are aware of the increasing demand for more than just a lift control system and for this reason we design and supply a complete electrical solution. All elements relating to lift control are taken into consideration. 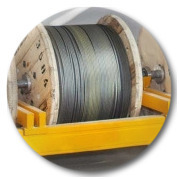 We can then design and supply all the necessary cables and fixtures required. This ‘plug and play’ network of wiring reduces installation time and improves product reliability. We can also design systems to upgrade ageing MRL systems, whereby the mechanical components can be retained and the electrical components (controller, fixtures and wiring) can be cost-effectively replaced. Many years of experience in lift design and manufacturing enable us to provide guidance and advice with both mechanical and electrical designs and we regularly assist consultants and architects in all aspects of design. An increasing number of clients enjoy a mutually beneficial and professional working relationship with us and we firmly believe that this has made a big contribution to the development of the advanced products available today. “Our world is changing rapidly with the emergence of new technologies and ‘smart’ systems. In our own sector of industry alone there will be challenges, there will be new directives, norms and compliance issues that we must overcome. There will be a growing demand for greater levels of network fidelity and product safety.